New Brother DR520 Premium Quality Compatible Drum Cartridge designed to work in the HL 5240/ 5250/ 5280 Series, MFC 8460/ 8660/ 8860/ 8670, DCP 8060/ 8065 printers. The use of compatible supplies does not void your printer warranty. Genuine Brother DR250 Black Drum Cartridge. For copier models DCP-1000; Also used for Fax 2900, Intellifax 2800/ 2900/ 3800, MFC-4800, 6800, PPF-2800, 2900, 3800. 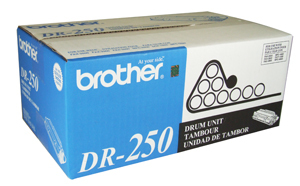 Genuine Brother DR520 Blacl Drum Cartridge. For copier models DCP-8060, 8065DN; Also used for fax models MFC-8460N, 8860DN, 8870DW; DCP-8060, 8065DN; HL5240, 6260DN, 5250DNT, 5280DW. Genuine Brother PC-201 Black Thermal Cartridge with Ribbon Refill for the Brother MFC-1770/ 1780/ 1870MC/ 1970MC, PPF-1170/ 1270/ 1270E/ 1570MC/ 1575MC fax mchines. Genuine Brother PC-202RF Black. 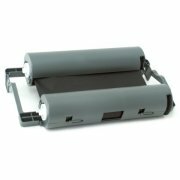 2 rolls ea., Thermal Ribbon Refills for the Brother MFC-1770/ 1780/ 1870MC/ 1970MC, PPF-1170/ 1270/ 1270E/ 1570MC/ 1575MC fax machines. Genuine Brother PC-204RF Black. 4 rolls ea., Thermal Ribbon Refills for the Brother MFC-1770/ 1780/ 1870MC/ 1970MC, PPF-1170/ 1270/ 1270E/ 1570MC/ 1575MC fax machines.